A hip roof is one of the most common roof styles for homes in North America, second only to the gable roof. While a gable roof has two sloping sides that meet at the top of triangular side walls (called gable ends), a classic hip roof has four sloping sides and no gable ends. 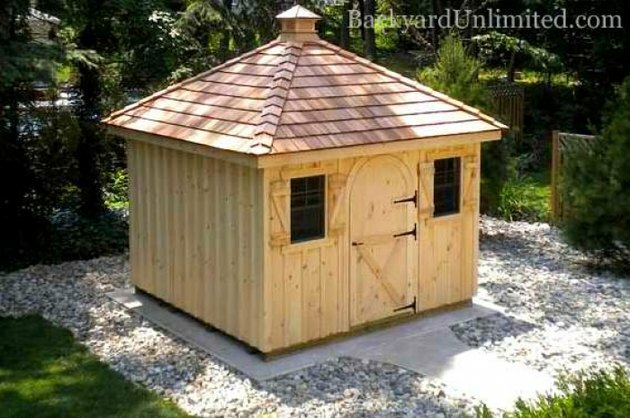 Hip roofs are usually rectangular but also can be square and other shapes. 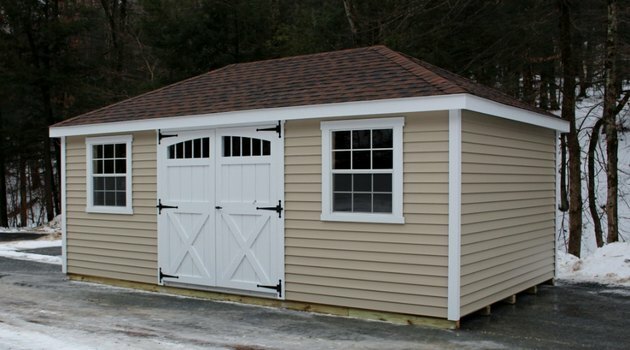 Gable roofs are common on residental homes and garages. A standard rectangular hip roof has a horizontal top beam or board, called a ridge, that forms the peak of the roof. At each end of the ridge, two sloping boards angle out and down to the corners of the building; these are called hip rafters. The rafters that run from the long side walls to the ridge are called common rafters. The rafters near the ends that meet at the hip rafters are called jack rafters. Each end of the roof also has a long center rafter that extends from the end wall to the end of the ridge; this is a king common rafter. The ends of a hip roof may be called hips. Hip roofs, or hipped roofs, were popularized in the U.S. during the early Georgian period of architecture, in the early eighteenth century. Many stately homes in the mid-Atlantic and Southern regions were two-story, rectangular brick structures with hip roofs. 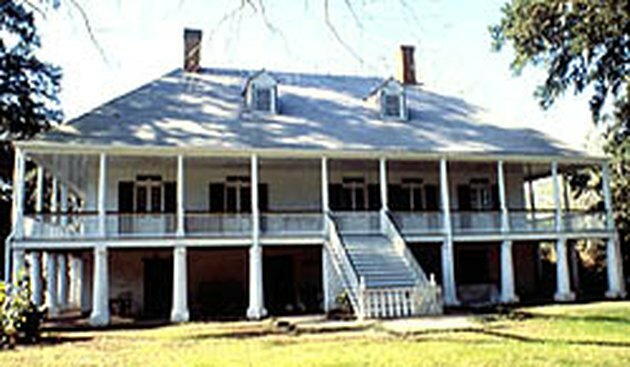 The hip roof is also an important characteristic feature of eighteenth-century Southern plantation homes, particularly in the French Colonial (and French Creole) style. While the hip roof in northern regions was used primarily for stylistic effect, southern homes relied on it for protection from the sun and often included deep eave overhangs to shade the building's wall or provide cover for porches or open-air galleries. French Creole house with hipped roof. Today, hip roofs are still favored in many regions that face hurricanes and very high winds because a roof on all four sides of a house can offer better protection than gable roofs and their exposed gable end walls. One drawback of a hip roof is that it limits headroom in the attic area. Jerkin head: Also called a half-hip; a hybrid of a hip and gable roof, with each gable end adorned with a short hip at the top. 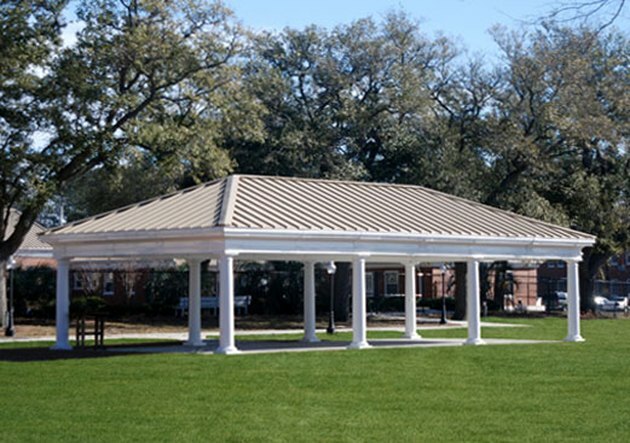 Pavilion: A hip roof (on square building) with four equal sides meeting at a point in the center, forming a pyramid shape. Double-pitched hip: A hipped roof with a steeply sloped upper section and a more gently sloped lower section. C**ross-hip**: A roof with two or more intersecting hip roofs, typically forming an L or a T.
What Do You Call an Area Where a Window Juts Out From a House?